We recently caught up with Dr. Heck and asked him to share more about himself and his book on one of the world’s most famous men. You teach courses on C. S. Lewis, Old and New Testament, and Reformation history at Concordia University Texas. Tell us a little bit about how you got into teaching and why you decided to teach, specifically, those subject areas. While serving as a parish pastor, I started some graduate study in the Bible, hoping to become better at my pastoral responsibilities, especially teaching and preaching the Word of God. 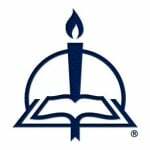 As I was nearing the end of my graduate program, I realized that perhaps God had something else in mind, and that was to return to my alma mater, Concordia University Wisconsin, as a religion teacher. That’s what I did. My teaching of Old and New Testament flows from that. The Reformation course I teach because my employer, Concordia University Texas, needed someone to teach that class when the previous teacher retired. Although my graduate degree is in Exegetical Theology, I took on the Reformation course as a labor of love. As to C. S. Lewis, I once successfully “masqueraded” as a Lewis scholar in order to be selected to teach in the Oak Hill Program in Southgate, England. And I have enjoyed Lewis ever since. Lewis’s writings have great potential to speak to the modern American heart and mind. What do you find most fascinating about C. S. Lewis? What prompted you to write a book on C. S. Lewis now? I find that Lewis’s pre-Christian story is fascinating—adopting atheism when he was only fourteen years old and then taking fifteen years to return to the Christian faith by examining carefully every wrong turn and then being dragged into the kingdom of God, “darting his eyes in every direction for a chance of escape.” But probably what I find most fascinating is the selflessness of such a famous man, exemplified in numerous ways—through answering every letter he ever received; taking care of Mrs. Moore for decades so he could keep a promise to a military buddy; serving on the Council of Westcott House, Cambridge, without anyone really knowing about it; tutoring students one-on-one in the Oxford University tutorial system; and more. He serves as a good example of humble service for me and everyone else. What prompted me to write a book about him was the intersection of my interest in Lewis with an increasingly atheistic culture, and the opportunity to bring both points together in this book. Talk a little about the process of writing a biographical book on one of the most famous men in the world. Was it ever intimidating? I participate in a C. S. Lewis reading group in Austin, Texas, and because I regularly meet and interact with that group, the idea came to me that a book on Lewis’s atheism would be interesting and could potentially impact a lot of people. I started with an advantage, so it wasn’t intimidating at the start. In Chronologically Lewis—my website of more than 1,100 pages and nearly two-thirds of a million words—I have the world’s largest and most complete record of everything that C. S. Lewis ever did. Later, I realized that many Lewis fans and scholars would likely read this book, and I needed write something both popular and scholarly, neither too breezy nor too academic. That was a major challenge and quite intimidating. If I made a major mistake, it would be there for the world to see. However, I decided that if I asked some of those in my reading group (those listed on my Acknowledgements page), to read my manuscript, I could minimize my mistakes and maximize the book’s impact by drawing on their collective wisdom. 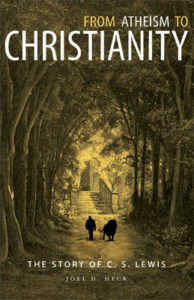 What new insights into the life and/or writings of C. S. Lewis did you discover as you wrote this book? Believe it or not, I came to a new appreciation of atheists. It’s not that I now agree with them, but with realizing that Lewis himself had been an atheist—itself a sobering thought—and knowing he rarely adopted a position that he did not think through carefully, I began to see atheists in a new light. I also learned how many atheists Lewis knew, related to in a cordial way, respected, and corresponded with. But his relationships and interactions with atheists aren’t all that surprising because “God so loved the world,” and atheists are part of the world. I also was able to identify with a great deal of precision and accuracy the dates of the four chess moves God put on Lewis. Lewis himself had not been certain of the dates when he published his spiritual autobiography Surprised by Joy about thirty years after the first chess move. How is Lewis’s story relatable to people today? What lessons can Christians and non-Christians learn from C. S. Lewis? Christians can be encouraged to know he believed in God even when the majority of those around him did not. We can stand with the minority on any given position as long as we’re on God’s side. Lewis had a major concern for the spiritual well-being of people all over the world, and we should never lose our concern for those outside of the Christian faith, especially those who have been wounded, sometimes by well-meaning Christians. After all, we live in a fallen world. But the angry and strident atheist is the exception rather than the rule. Non-Christians can learn to go where the evidence leads, to be willing to look closely at the other side of a question and be challenged, to read books and articles they disagree with, to listen when the Spirit nudges, to question the official positions of the secularist, to face the flaws of Darwinism and naturalism and scientism, to look inside themselves at the human flaws we all have, and to know that it’s okay to realize we need help. Without giving too much away, what are three things you hope your readers will take away from your book? First, after reading this book, I hope they want to read Lewis himself if they haven’t, or to read more of him if they have. Second, I hope they will realize that challenges to the Christian faith are real, that they can be met, and that Lewis himself—a brilliant Oxford academic—found those challenges wanting. Third, I hope they will gain a greater appreciation for the power of story and the value of the fairy tale or fantasy from Lewis, Tolkien, and others. You are an experienced author and editor. How do you balance your inner writer with your inner editor as your write? That’s hard to do. The inner writer wants to be creative and relevant, but the inner editor is always asking whether I have read enough, revised enough, and gotten enough advice from the right kind of people (writers, philosophers, theologians, etc.). The writer wants to have a powerful impact, and the editor wants to be perfect. Balance? I simply alternate between the two, pray, seek the counsel of wiser people, and ask God to bless the effort. What advice do you have for someone aspiring to be an author? What about someone aspiring to be an editor? First, find something you really care about and write about that. Such passion provides energy and motivation. Second, make use of people who can read your manuscript and make suggestions. Don’t ever become Pontius Pilate, who famously said, “What I have written I have written” [John 19:22]. Third, keep at it; don’t give up. Fourth, constantly seek advice, both about the writing process and about ideas you could write about, even before you begin. Fifth, if you have never taken a writing course or read a book on how to write well, do so at your earliest convenience. And, sixth, read great writers, people like Gene Edward Veith, Devin Brown, and the great writers of English literature. As to being an editor, I would start by volunteering to do editorial work free of charge. That will give you some experience and get you better known in the field. Then look for a project you can bring together from scratch, recruiting various authors to contribute a chapter, and start to build a reputation with that project. In addition, everything in the previous paragraph applies here because you need to be a good writer in order to be a good editor. The best Christian writer of the twentieth century.